You are here: Home / Faith / Encouragement / Enough With The Hustle! Confessions of A Burned Out Mom. Enough With The Hustle! Confessions of A Burned Out Mom. You heard me correctly, enough with the hustle! Most people don’t realize that this hustle culture it’s causing moms, dads, whole families to be exhausted! This hustle culture is also causing us to be discontent with what we have and always chasing after the next best thing. Hustling is causing us to deviate from what is important and to neglect our children and our marriages. My years of hustling left me physically and emotionally exhausted. force (someone) to move hurriedly or unceremoniously in a specified direction. obtain by forceful action or persuasion. I was not created for hustle! You, my friend, were not created for hustle either! God never created us to keep chasing the next best thing. God never told us to work nonstop seven days of the week. No! God created us for rest and peace. He created us for contentment. He created us to fellowship with Him, to rest in Him and enjoy everything that He has created and has given us. You know this is not my typical blog post and you also know I speak from my heart – I am real as real can be with my readers because to me they are not just readers – they are my friends! I started this blog with one purpose in mind: to encourage and inspire busy moms, busy homemakers, busy homeschoolers. Why? Not because I want to keep the busy in their lives, but because I want to help them take the BUSY out of their vocabularies and replace it with rest. Here is a tiny bit of my story. Here’s what hustle has done for me in the past years. A year ago I burned out completely. I was working 60+ hours a week between my full-time work as a pastor and my online business as a health coach, with three little kids, coming home late at night and still having to cook, clean, do laundry, take care of my children and my husband – I was exhausted! I could barely get six hours of sleep at night. I felt like I was continually on the go – no stops or breaks allowed! My body was getting weaker by the day and I became very sick. I end up at the hospital multiple times and the last time, I was rushed to critical care. My body was paralyzed from head to toe for about 3 1/2 hours. I couldn’t talk, I couldn’t move, I felt like I was fading… dying… All the result of years of exhaustion and accumulated stress. Hustle brought me adrenal fatigue and Hashimoto’s, an autoimmune disease I have to live with for the rest of my life. I saw it coming for the past two to three years and I can’t say I didn’t know how to stop it. There is so much pressure in our culture to perform better, to sell more, to work longer hours, to make more money… This is not of God! Hustle made me perform in my full capacity for a short period of time in my life and made me sick enough to never perform to my full capacity again. And I mean that! Just the thought of rushing, hurrying, pressures, deadlines make my body shake and shut down to this day. Are you feeling like you have reached your limit? The typical North American family is usually overscheduled, overworked and overwhelmed. Kids are taken from one activity to the next after spending their full day in a school away from their family. They come home, do their homework and rush to the next extracurricular class. Our kids are busy and being pressured in schools, being pressured to perform better in sports, cheerleading, etc. In the same way, parents spend the day working, going from place to place just trying to check off the next thing on their to-do list. The results are exhausted kids and exhausted parents who usually spend very little time together, very little time communicating and building relationships. We are creating an exhausted generation and all is due to our hustle mentality. The culture of the hustle has also invaded our homeschools. No longer is our homeschool revolving around our homes, but our homes are revolving around our homeschool’s packed schedule. Homeschool moms are trying to add as much as we can into our children’s homeschool schedule as if it would make it more productive. Dear homeschool moms, busyness does not equal productiveness or efficiency! We are burdening our children with work to do all day long, keeping their schedules full and forgetting that they too need to learn to master inactivity. They need room for creativity and room for rest! We are guilty of always chasing the next best thing, a.k.a. the next best curriculum, without giving curriculum time to work. 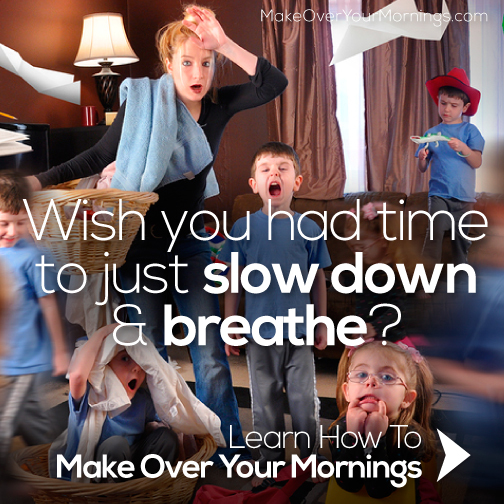 We are raising stressed out children who are also overscheduled, overworked and overwhelmed. Stop hustling and rushing. It’s time to unhurry and teach from rest. When I started blogging nine months ago, I had no idea of the amount of work it requires. The hours and hours you have to put in to keep a blog going and growing. Don’t get me wrong, I am not complaining at all – I love blogging! Blogging has been healing to me after my burnout last year. I love connecting with my They Call Me Blessed community on social media. I also love reviewing curriculum and resources we use and endorse. And I love sharing with other moms what is working for us in our homeschool. But blogging is time-consuming and could be easily turned into your next idol. It can creep in slowly to take all your time from your home, children, marriage and spending time with God to grow spiritually. Our inbox is overfilled with “do this and buy me” emails. So much information, it’s overwhelming! Life is not a race, it is a journey. I spent years rushing and hustling to then find out that I need to spend another few years learning to rest and balancing my life better. If I want to live a good life then my health is my top priority (physical, spiritual, emotional and mental). Hustling takes my focus away from my priorities and makes me neglect the most important people in my life. An exhausted mom doesn’t take good care of her kids or her home. “Not every opportunity is your assignment.” Lisa Terkeurst, The Best Yes. Don’t live up to your limits – all the time! That’s exhausting. Do less but do it well. Eliminate distractions and focus on your priorities. Create margins – Allow yourself time to breathe between activities and appointments. A mother’s life with no extras added is already full. Simplify! Declutter! Get rid of the extras. Hit the breaks! Stop and evaluate your life. Start with yourself. Be honest: If you are reading this is because you know the whole hustle thing is killing you and it has become a bad habit and a way of life. How do you change this? My answer: One-step-at-a-time! There is no other way. Bad habits can be broken with good habits, you will have to practice hard! It will take sacrifices, a lot of saying no to the things you are used to doing in the automatic mode like just survive, for example. My prayer is that you will come out of the survival mode and start living intentionally. What are my bad (hustling) habits and why? Ask God to show you what to start with and He will. That gut feeling… it’s the Holy Spirit! Now that we have talked quite a bit about it, I have shared my own takes on it with you and asked you to ask yourself a few questions, it’s time to take action! It’s time for you to redesign your life – one-step-at-a-time! Start with yourself – always! Many of us are putting our careers and even motherhood first and forgetting that we need to put the oxygen mask on ourselves first before we try to help anybody else around us. Self-care is important! No, I am not talking about going to a spa, having your nails done, having your hair done… I don’t even have the budget for that and to look good only on the outside doesn’t solve the problem! I’m talking about caring for the inside first: eating healthy, sleeping enough, drinking water, feeding your mind and soul with inspiring and encouraging books, having time to journal and to pray helps immensely! Then, of course, exercise does wonders to your body! It helps alleviate stress, gives us energy, improves our moods, helps prevent diseases, etc. Simplify Your Time: Stop Running and Start Living! Hands-Free Mama: A Guide to Putting Down the Phone, Burning the To-Do List, and Letting Go of Perfection to Grasp What Really Matters! So, dear friend, enough with the hustle! We are called to peace and rest. We are called to enjoy the journey and not to rush through this life! I pray you will find the rest you need. My job is to keep raising the awareness and help other moms not to burn out like I did. I hope these resources will help you as much as it has helped me. Today I am a new person, I’m healthier and I’m stronger. I thank God for turning my life around. Now it’s your turn! Get my FREE 3-Day Essential Mini Detox here! Yes! Yes! Yes! To all of this. We’ve got to slow down. I’ve calmed down my hustle over the years, but I can remember living with very little sleep, just to do for my family. Outside of working with my girls on their schoolwork, they were very involved in dance and tumbling and with three of them, it got costly and very time consuming. I’ll be honest, I don’t regret the hustle at that time, but I’m glad I’m no longer doing all that I was. I still need to learn to take time for myself. This post spoke to my heart! We only have one little one, but we both work 50+ hours per week, run a side business, have gymnastics, bowl in a league, try to spend quality time together, cook family meals, and sometime get some sleep in there. I’m so happy I found this blog through Jessi Fearon – I will be coming back! Savannah, I am so glad you found this post! I was going at the same speed you are now, but with 3 kids. I don’t want any mom to go through what I went through. I wish I could say I recovered. In many ways, I did but burning out left me a big scar. I don’t function in the same capacity I did two years ago, I deal with anxiety in the minimal sight of stress. I pray more moms with slow down their pace and care more for themselves so they can care for their families.